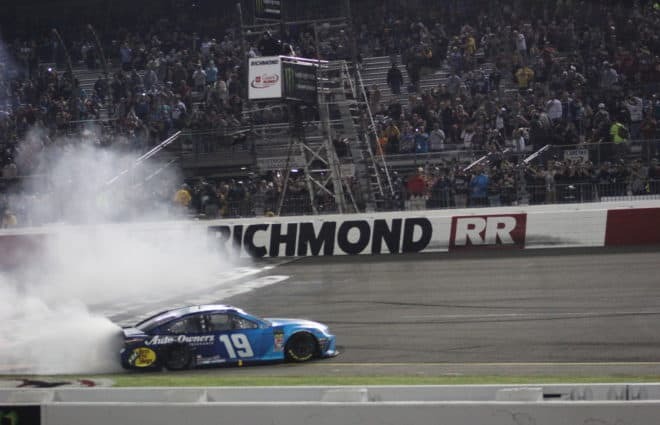 Three years ago, Martin Truex Jr. led a total of just one lap in the Cup Series. 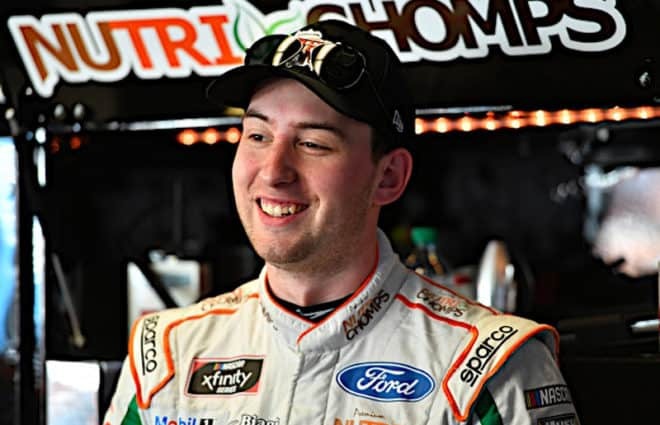 His team had won at NASCAR’s top level only once, at Darlington in the 2011 Southern 500. Kyle Larson? He was halfway through a rookie season in which he never cashed in on Victory Lane. Neither driver came close to the sport’s 16-driver playoff. Now, they’re not only playoff contenders. Both men are threatening to run away with the trophy and settle it amongst themselves at Homestead. Keeping it a 1-on-1 battle would be virtually impossible, of course; NASCAR has a four-driver, winner-take-all format in the season finale. But it’s clear 15 races through the season Larson and Truex are on a racing planet all their own. Michigan, a track where the best teams are on display became a showcase for both drivers’ raw speed this season. Larson started on the pole; Truex was right alongside. Both men combined to lead 158 of the race’s 200 laps. In all, they accumulated 35 playoff points just through stage bonuses alone. Truex won both stages, the third time he’s done so this season, while Larson was second and third. Down the stretch, it was the No. 78 Toyota who got stuck in the wrong lines on restarts and slid into traffic. That opened the door for Larson, enough for him to earn his second win of the season with ease. But even he deferred to Truex when asked about the best car on Sunday. 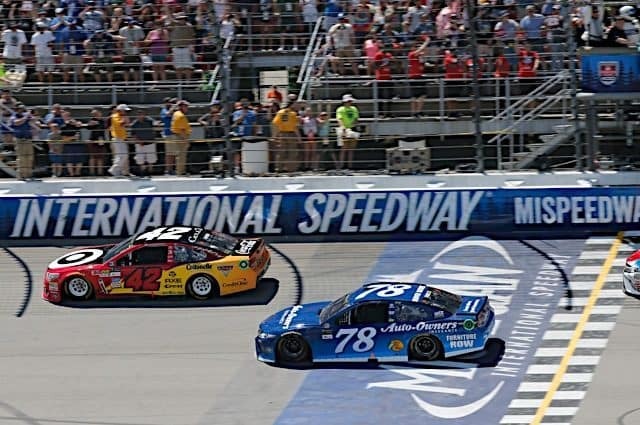 So Truex wound up sixth, while Larson ended up with the win. No worries; the 51 and 57 points they accumulated were more than any others in the field. There have also been some points this season where the luck and roles were reversed; it was Larson, not Truex ruing the one that got away. The drivers have seesawed on top of the standings and on who has the edge on any given week. 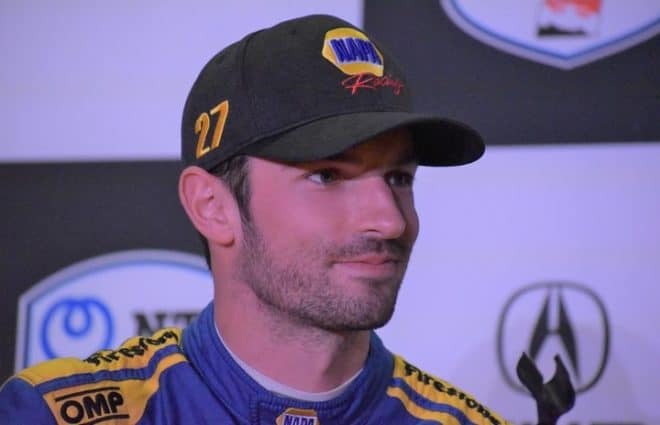 But it really doesn’t matter because no one else in the sport, aside from perhaps Jimmie Johnson, is even close to them at this point in time. Consider Larson and Truex have at least 125 points over third-place Kyle Busch in the standings. 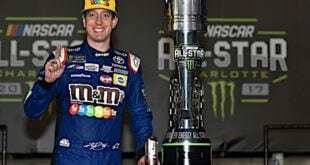 That means each driver could choose not to run the next two races, Busch could sweep both of them, win all the stages and still not pass them in the standings. That’s a Herculean style advantage on the field at this point in the year. And consider the teams with which they are doing it. Furniture Row Racing, despite an alliance with Toyota’s top team, Joe Gibbs Racing, was a single-car operation until just this year. Truex, after an awful 2014 season at one point wasn’t even sure he’d be with this car long-term. Then there’s Larson, driving for two-car Chip Ganassi Racing and a team that’s struggled mightily during the Chase era. 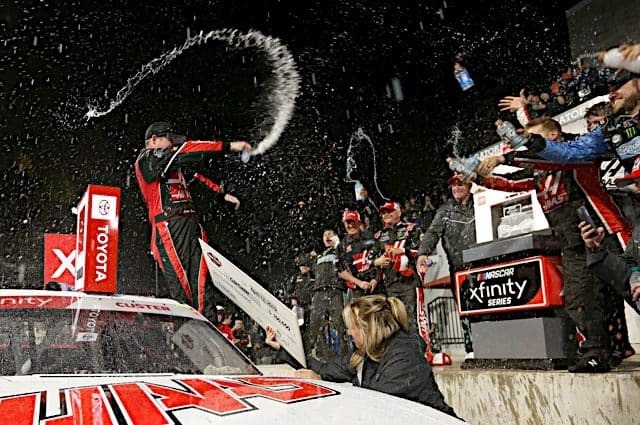 Not since 2002, when Sterling Marlin was their marquee driver has this organization been this close to a stock car title. Both teams benefit from their alliances (Ganassi has Hendrick) but are squarely planted in the middle rungs of NASCAR. Each one has room for expansion in an era where both cars and sponsors are dropping like flies. That has to be a bright spot in a sport with its share of long-term problems, right? Consider the economic difficulties hitting the lower series right now. 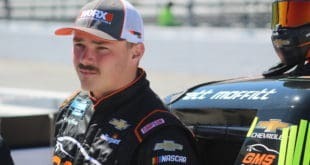 40 cars showed up for 40 spots in Michigan’s XFINITY race; 10 percent were there to start and park. Gateway Motorsports Park for the Truck Series was even worse. 30 trucks showed up for 32 positions on the grid and seven of them were out by the end of stage 1. 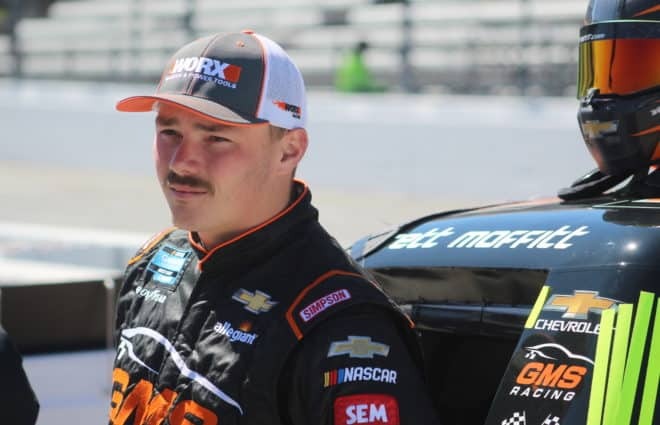 The winner, John Hunter Nemechek, cried in Victory Lane because his team might not even have enough money to finish out the year. Red alarm bells should be going off in NASCAR headquarters, an extra decibel boost considering all the empty seats at Michigan. The racing there, most of the day was so aero dependent to the point passing became virtually impossible after restarts. How do you get new people, sponsors, and owners paying attention? Maybe it’s through Larson and Truex, two names you’d never expect atop the NASCAR ladder in 2017 trouncing the field. In a sport that needs new blood, they’re middle-class guys leading first-class efforts to the top of the series standings. Will a playoff battle between them spark a rivalry? It’s hard to say. There’s a high level of respect both competitors hold toward each other, combined with a knowledge they’re in a class of their own which grows each passing week. It’s increasingly clear those playoffs could be Truex, Larson, and then everybody else. Two names that were barely on the radar screen in 2014 now are headlining NASCAR every time we race. The days of Gordon, Stewart, and Earnhardt are rapidly fading into the rear-view mirror. Tags Kyle Larson Martin Truex Jr. The author of Bowles-Eye View (Mondays) and Did You Notice? 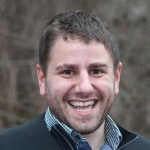 (Wednesdays) Tom spends his time overseeing Frontstretch’s 30 staff members as its majority owner. 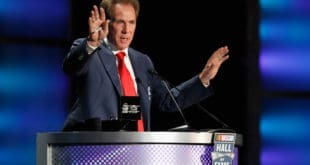 Based in Philadelphia, Bowles is a two-time Emmy winner in NASCAR television and has worked in racing production with FOX, TNT, and ESPN while appearing on-air for SIRIUS XM Radio and FOX Sports 1's former show, the Crowd Goes Wild.